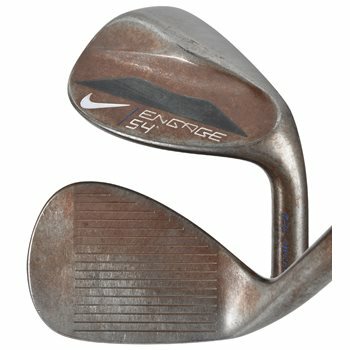 The Nike Engage Toe Sweep wedges are designed with a wide toe and narrow heel to allow the club to be laid open at address and stay open through impact in even the deepest of grass. The Toe Sweep grind maintains its superior performance from the sand and rough while improving versatility on tight lies. Modern Muscle geometry centralized the CG to promote consistent turf interaction in all conditions. The Engage wedges feature Grittier Tour Garnet Blast face, which is 400% rougher to deliver more spin on less than full shots. Aggressive machined X3X grooves deliver maximum USGA legal spin on full shots. The tour-authentic, un-chromed raw finish cuts glare and is designed to rust over time, further increasing surface roughness. Review by Andrewmiller1220, 3 years ago.